The TL-POE200 is designed to deliver power and data over a single Ethernet cable to an Ethernet enabled device up to 100m (328.1 feet) away. 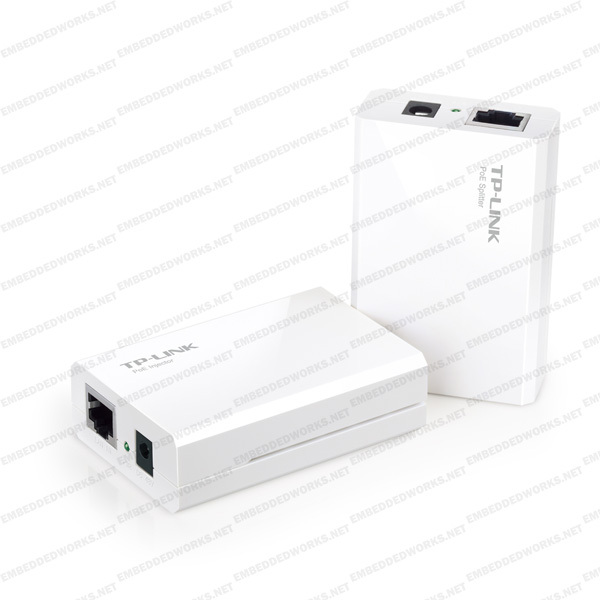 The PoE kit uses two devices, one, the �injector� injects power and data into a single Ethernet cable while the other, the �splitter� placed at the receiving end splits the power and data back into two cables to be used by the connected Ethernet device. This convenience allows users to place Ethernet enabled devices such as access points, IP cameras, or VoIP phones anywhere that they are best suited, regardless of whether a power socket is available, to achieve the best performance for the connected devices. 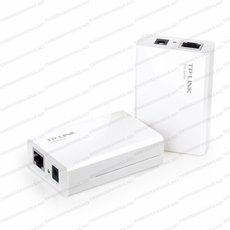 *TP-LINK�s TL-POE200 uses widely adopted PoE technology in the industry and provides more cost-effective PoE solution. It is highly recommended not to pair the PoE products with other PoE adapters unless under professional guidance.